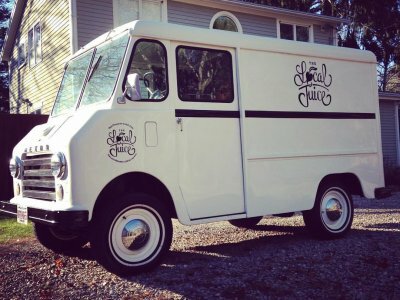 WHY ARE SO MANY BUSINESSES CHOOSING VINTAGE STEP VANS? 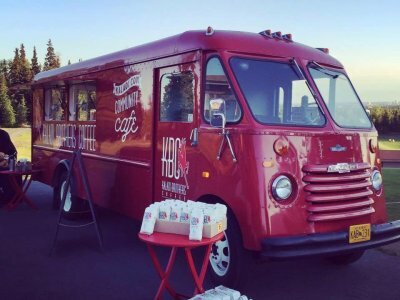 Turn your idea into a successful rolling billboard, an experiential marketing platform and a unique retail outlet. People will share your story, and their experience, all over the world through the web and their social media. 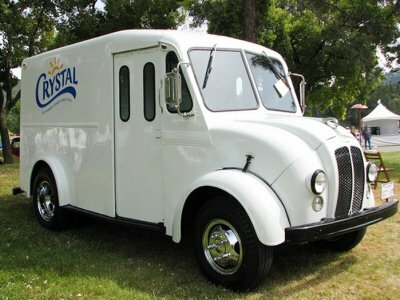 We provide exceptional renovations and customizations for vintage step vans and other unique vehicles. Let us transform them into mobile food trucks, pop-up shops, rolling billboards or your next big idea. We are committed to recycling, repurposing and using environmentally friendly products in all our custom builds. Instead of wasting away in landfills, we passionately and responsibly restore new life into these beauties. We are established industry leaders when it comes to sourcing and building beautiful vintage step vans. From acquisition through implementation onto completion and final delivery, we are dedicated to working with our clients at every step. General Consulting Design, Interior Build, Health Code, etc. It all starts with the perfect vehicle. 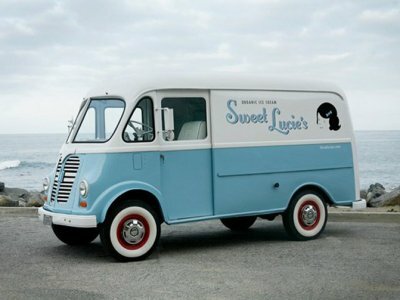 We take pride in our abilities to find beautiful, restorable vans from all over the world. If you are looking for a VSV custom build or a vintage beauty to restore yourself, we have something that works for you. We also source specific vehicles for our clients. Tell us your dream and we will scour the ends of the earth to find it! This is an extremely custom experience. 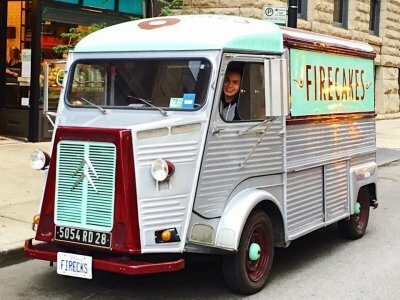 Just as we now have tiny houses, we have tiny vintage food trucks. Keep your concept simple, and your workflow and profitability will benefit greatly. Personal projects are just the same, keep your concept simple and we will express your dream through the fine details. When you are purchasing something sight-unseen (especially a vehicle), or even in person, the most important thing is trust, honesty and integrity. I can attest that these folks are 110%. I highly recommend anyone doing business with Vintage Step Vans. Mahalo to Stefan and his crew! Thank you so much for the work you put into our campaign truck! It’s an iconic part of our campaign, and is really helping us get the word out. Thank you again! This is the end of the first summer of using this truck. We LOVE it, better yet, our community loves the truck. Just wanted to say we are very happy. Take care! Vintage Step Vans was very professional. They were quick to respond to phone calls and walk through options and ideas with the van we purchased from them. As with any aged vehicle, they can be quirky. But I was pleased to say that after we received the vehicle I was able to drive the van 600 miles in wind, rain, (and nearly snow) to our client in smooth order. They were stoked with the results. So many people are selling their old vans online, its difficult to know what exactly you’re going to get, so we flew to Austin to check out some vans in person. Stefan really took his time to show us around the yard and was very knowledgeable on each van and the positives and negatives of each vehicle to our situation. His passion for vintage step vans is infectious and we left feeling even more inspired than before…. …Stefan and his team were extremely accommodating over the months that followed, answering endless questions and sending through lots of photos on our short listed vans. Even after we purchased the van they organized the shipping and sorted out all the necessary documents and certificates we requested. The communication throughout the entire process has been amazing. 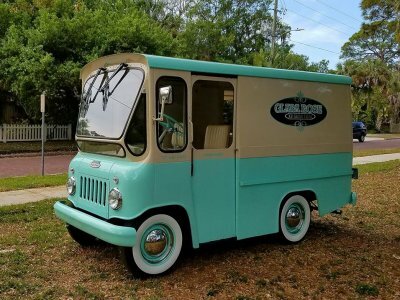 1958 IH Metro Franklin Juice Co.
Do you have any vehicles for sale? YES! We have the largest inventory of American-made vintage step vans publicly available, anywhere. Work with us on acquiring your vehicle and know what you are getting. Tell us what you’re looking for by filling out our detailed contact form below. You should receive a response within 2 business days. *Tip: We do not have our inventory on display for public viewing at this time, as it changes daily. These vans don’t last long on the open market, so be ready to strike when you find something you love. Please fill out our contact form below and we will present you with options that fit your criteria. We do not have our inventory on display for public viewing at this time, as it changes daily. These vans don’t last long on the open market, so be ready to strike when you find something you love. Sorry, we do not sell parts. We reserve 100% of our resources for our clients and their projects. How do I place an order for a van? Please fill out our contact form below so we can present you with options that fit your criteria. Once you have chosen your van, you will purchase the vehicle outright (and hold title). If you would like us to perform a scope of work and engage in a project, a 50% deposit towards your written estimate will be required to reserve a slot in our very busy work schedule. How long will my custom build take? This process will take approximately 3 months to 1 year to complete once all project details are finalized and your vehicle is out of queue. Details take time, so give yourself plenty of lead time and plan accordingly. 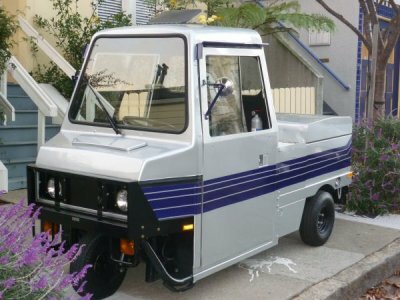 Do I come up with the van specifications and design? We offer consultation services that will provide you with our highly knowledgeable design team to work closely with you and designing your build. OR, bring your plans to us. Can I supply the van? You can always source your own vehicle and send it to us, but please be advised, we cannot estimate any costs until the vehicle is in our hands and evaluated. Could I save money if I supply the van? Possibly, depends on the condition of your vehicle. Your costs are mainly based upon labor and custom sourced parts. Savings, if any, are usually minimal. 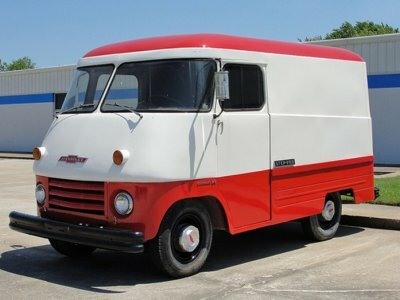 Can I purchase a van from Vintage Step Vans sight unseen? Of course you can! We want to make the buying process easy and convenient. However, you are always welcome to setup an appointment to visit VSV during our normal business hours. We often sell vehicles without the client’s visit. We are happy to provide you with photos, video, and a detailed evaluation of the vehicle, and correspond through email, telephone or video chats for your convenience. Are Vintage Step Vans easy to maintain mechanically? This is a difficult question. Keeping your van on it’s original driveline will require more time and potentially more costs upon receiving and operating. Sourcing parts and individuals to work on these old machines could be a tedious task. Upgrading your van to more modern day mechanics will allow many experienced mechanics easy servicing and parts replacement. How do I see the build process in motion? We work hard at keeping a picture library of your vehicle in progress. We upload current pictures and video to a cloud service for your direct access to your project. 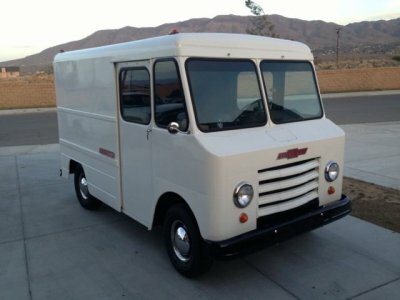 Does Vintage Step Vans deliver or assist with delivery? We do not deliver personally, but will assist using our network of shippers to ship your vehicle just about anywhere. Costs are covered by client upon delivery. Costs do vary from van to van, and season to season, but we will work at getting you the best possible rates at that time. Keep in mind, these vans do not normally fit on multi-car haulers, so more limited 2-3 cars haulers are needed to ship your vehicle and will affect costs. 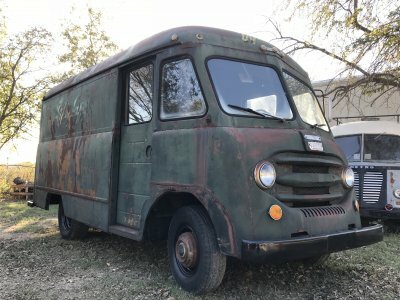 How much does a vintage step van cost? Prices vary depending on the vehicle used and specifications required. Please call or email us direct to discuss estimated pricing. Can I visit Vintage Step Vans showroom? We are very busy, on-site visits are accommodated by appointment only. Can we supply our own catering equipment? We’re sorry, but we do not accept clients own equipment. We are not currently offering financing. Do these vans hold their value? We think so! They only seem to be going up in value. 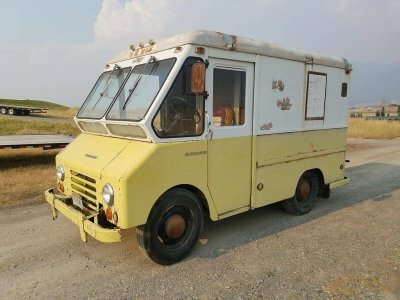 Do you want to buy my vintage step van? If we are interested, we’ll reach out within 2 business days and ask for pictures and additional info. Once we strike a deal, we’ll make the transaction quick, clean and simple. Money will be deposited right into your bank account and we will take care of all the shipping logistics. The best way to get started is to fill out our detailed contact form below. Provide us with as much information as possible so we have a clear understanding of what you’re looking for. Once received, you should hear from us within 2 business days! You can always call us at 512-770-6377, but we prefer new clients to fill out the form below so we can get a clear understanding of what you are looking to do. If you have a specific question, please check the FAQs section before asking us. 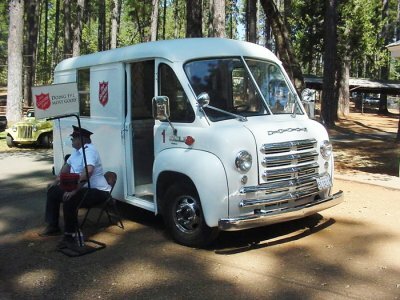 What will be the primary use of your step van? Are you looking for a step van that will be stationary, see light driving, mostly trailered to events, or a daily driver? What is your budget for the services you have selected? $10,000 - $25,000 $25,000 - $75,000	$75,000 - $125,000	Whatever it takes! Other	 What is your budget for the services you have selected? Are you currently funded? Yes, ready to roll! No, not yet. No, I'm seeking funding. Other	 Are you currently funded? How soon are you looking to make a purchase and get started? I'm ready to purchase! I need a few months. I'm just browsing, no rush. Next year. Other	 How soon are you looking to make a purchase and get started?